The The Shadow Conspiracy "Killer" BMX Crank - Chrome is the signature crank from Trey Jones. It has a clean designe but still solide couse of the 4130 CrMo. 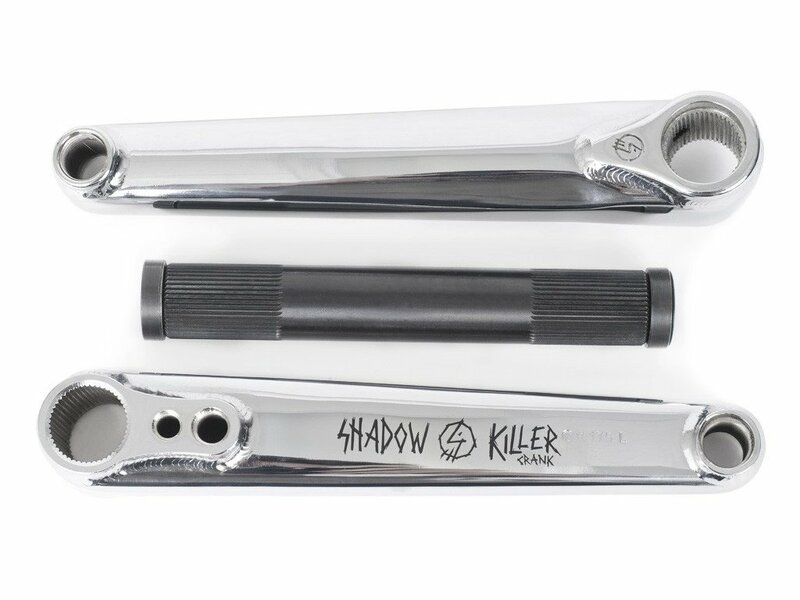 The The Shadow Conspiracy "Killer" BMX Crank - Chrome is RHD and LHD compatible and also you can fix a spline-drive sprocket on it.